Welcome to the Meeting and Event Planning guide to Kansas City, a city guide for meeting professionals. A charming and cosmopolitan urban center, Kansas City has retained a clean and spacious atmosphere. Its downtown area boasts 200 fountains, more than any other city outside of Rome, while its tree-lined boulevards and many sculptures recall the streets of Paris. Today, the city remains well known for its location on 318 square miles at the meeting of the Missouri River and the Kansas River. With nearly 450,000 people residing in the city alone, the greater metropolitan area is home to almost two million residents. Among them is a strong Irish community, which has influenced many of the city's newspapers, bands and stores such as Browne's Irish Market, the oldest Irish-owned business in the country. Getting to Kansas City is remarkably quick and easy. As America's most central city, it is served by flights from either coast just long enough for travelers to watch a single movie. 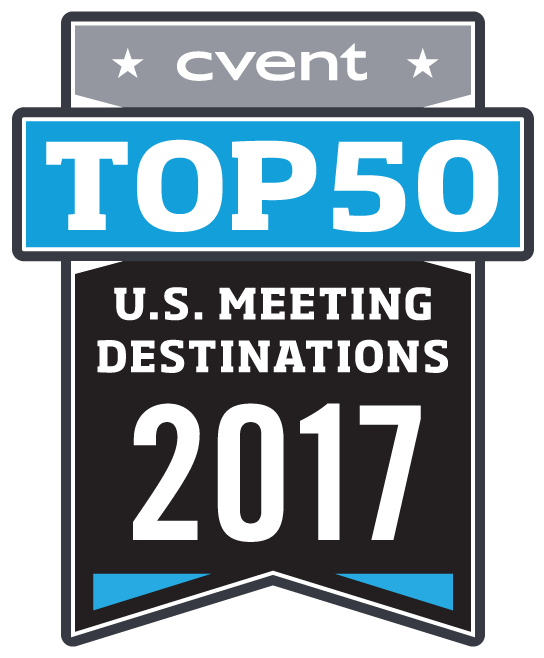 Served by major U.S. carriers flying nonstop to 50 major cities, Kansas City International Airport has received many accolades for customer satisfaction. But air travel is by no means the only option, as 50 million people and numerous major cities are located within a day's drive. 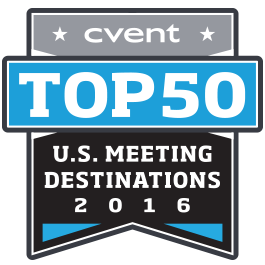 Encompassing more than 800,000 square feet, the Kansas City Convention & Entertainment Facilities can serve all your meeting needs under one roof. The center's impressive spaces are easily accessible from nearby hotels by glass-enclosed skywalks and underground walkways. 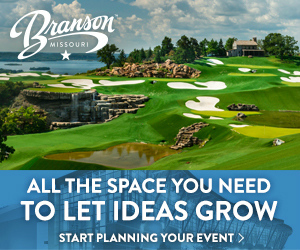 The Kansas City Convention & Entertainment Conference Center is not the only grand event space available to planners, as other large Kansas City event venues can also be found dispersed throughout the city. The College Basketball Experience, a nod to the city's strong ties to the hoops, can accommodate up to 1,500 people. 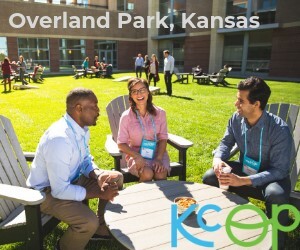 Approximately 5,200 guests can sit theater-style at the popular KCI Expo Center, while the Riverfront Community and Convention Center, 30 minutes outside the city, can accommodate over 400 people in its Riverview Room, affording spectacular views of Landing Park. 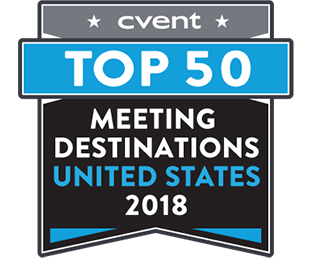 Adorned in bright lights accompanied by glitzy décor, the ever-popular Kansas City casinos also have several meeting and event spaces for larger groups. By no means are planners pressed to find non-traditional meeting space either. 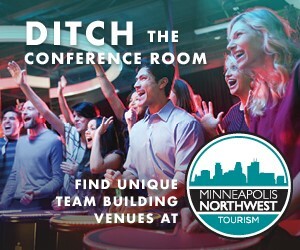 The Berg Event Space, a spacious urban loft with striking views of downtown, and the Cyber Center, a high-tech meeting facility, both offer unique spots for meetings and events. For an authentic Kansas City experience, Union Station offers majestic spaces such as the Sprint Festival Plaza's hall for banquets of 850 guests or receptions of 1,800 guests. The historic Uptown Theater complex, a renovated theater that offers a 42-foot-long bar, serving area and dressing rooms, offers planners a rare chance to host an event in the space where beloved entertainer Bob Hope once performed. The Aquarium Room at the Kansas City Zoo offers live aquatic views for events of up to 40 people. The eight-block Power & Light District, part of an $850 million mixed-used district, is a remarkable spot bursting with retail, dining, nightlife and entertainment. Adjacent to the district, the 18,500-seat Sprint Center and the 284,780-square-foot Kauffman Center for the Performing Arts. Four Fortune 500 companies -- Sprint Nextel Corporation, H&R Block, Embarq Corporation and YRC Worldwide, Inc. -- have headquarters in the city. Additional Fortune 1000 companies such as AMC Theatres and Great Plains Energy also call the city home. The University of Missouri-Kansas City and Rockhurst University are also in Kansas City. Kansas City, Missouri, is a town coming into its own. Not since the era when Oregon Trail travelers, fur trappers and Native Americans mingled in this busy commercial center has the city seen the flurry of activity that enlivens the streets today. In true Midwestern fashion, this thriving metropolis has humble frontier origins. Founded as a trading post in 1821 by Francois Chouteau, a Frenchman from St. Louis, the region relied on the steamboats plying the Missouri River for commerce and trade. 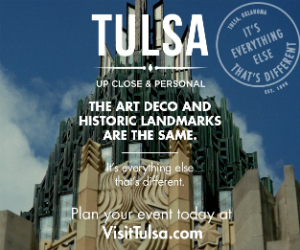 Amongst the classic scenery, visitors enjoy a thriving music scene and world-class art museums. Sway to the sounds of the live jazz music at the ever-popular Blue Room, now located in the American Jazz Museum, one of the city's over 40 jazz clubs and host to greats such as Count Basie, Walter Page and Charlie "Bird" Parker. For devotees of other music genres, the Lyric Opera is counting half a century of powerful and innovative programming as the city's oldest performing arts organization. The mainstays of the city's rich art scene are the Nelson-Atkins Museum of Art, one of the Midwest's finest art institutions, and the Kemper Museum of Contemporary Art. Not limited to arts and entertainment, the city boasts a bevy of other attractions to satisfy any taste. Explore a full-size reproduction of the steamboat Arabia, which sunk in the Missouri River and lay hidden under layers of topsoil until it was rediscovered 132 years later. Walk among 30 sculptures, including a giant shuttlecock and totem pole, at the Kansas City Sculpture Garden. Since no trip to Kansas City is complete without savoring some of its trademark barbecue fare, stop at famed barbecue joint Arthur Bryant's for a taste of the popular slow-cooked short ribs covered in savory sauce. To fully experience Kansas City's Midwestern soul, visitors will not want to miss the annual grand festival - a rollicking rodeo, barbeque fest, and old-time state fair all rolled into one - called the American Royal.